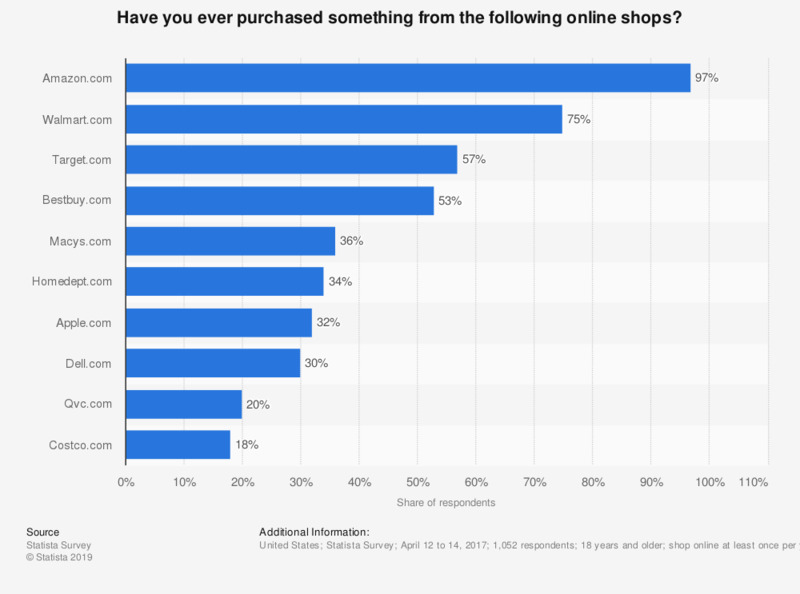 This statistic presents the leading online shops from where online shoppers in the United States have purchased at least once as of April 2017. During the survey, 97 percent of respondents stated that they had purchased something from Amazon.com at least once. Walmart had a 75 percent usage reach. Original question: Have you ever purchased something from the following online shops?